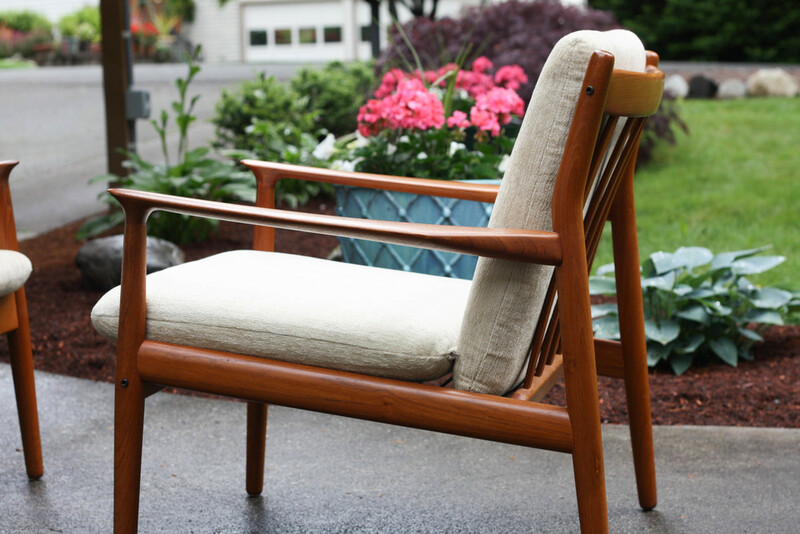 A beautiful chair design by Grete Jalk for Glostrup Møbelfabrik. Jalk's designs are some of the most popular to come out of Denmark. 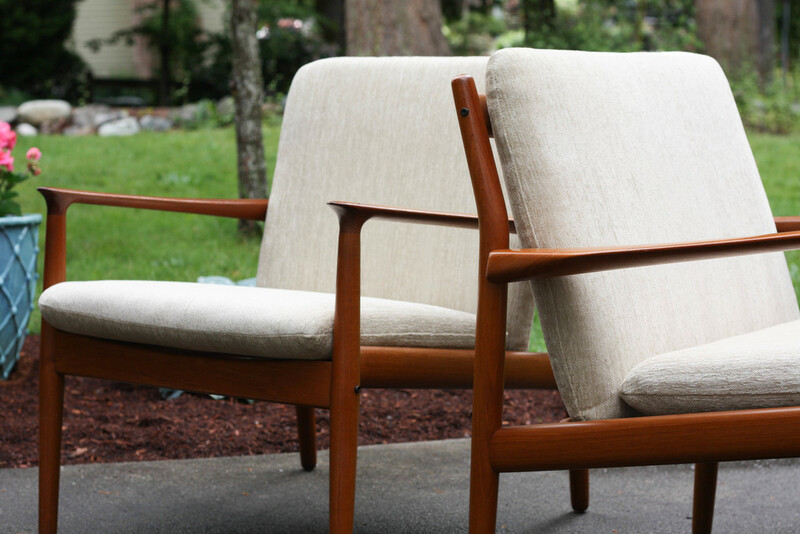 These chairs were designed for Glostrup Møobelfabrik. 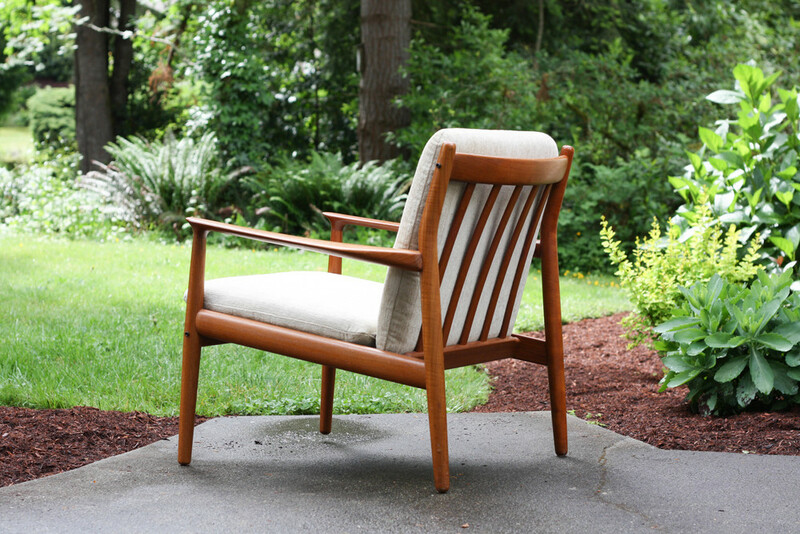 They are a classic external frame Danish chair but possess some delicate features such as the sculpted armrests and slightly bent rear posts. They are very light visually thanks to the relatively thin cushions and armrests. The teak has a wonderful grain pattern and nice patina. 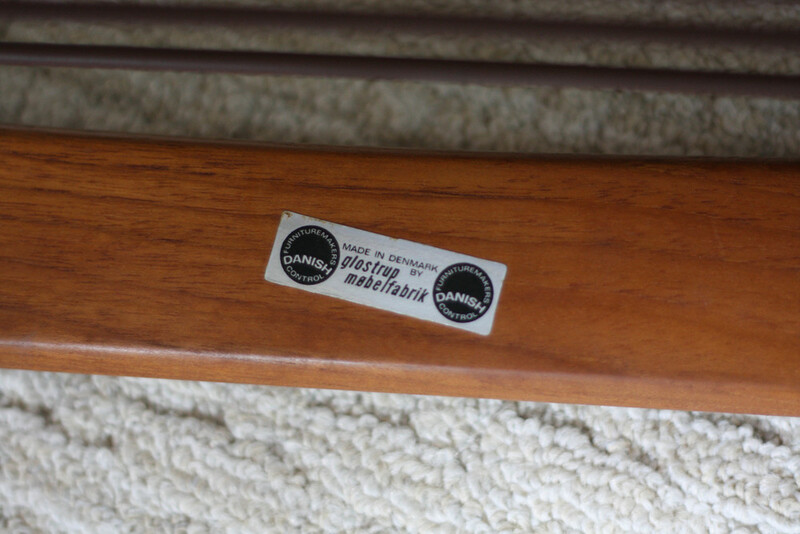 The springs that support the cushions provide tons of comfort and are in great condition. The matching sofa pictured in the last photo is available in a separate listing.